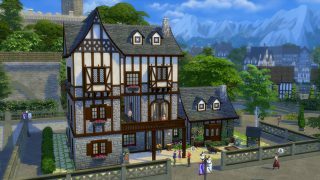 Finding the perfect home for your Sim is exciting, but with the millions of options on The Sims 4 Gallery, it can be a little daunting, especially if you are looking for one to match the beautiful architecture found in The Sims 4 Get Together Expansion Pack’s* new World, Windenburg. 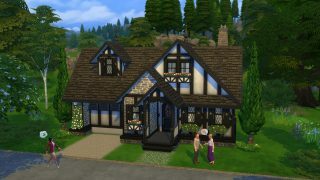 So we decided to scour the Gallery for you to find some of the most beautiful and creative lots made by the community. Get that old country charm with this 3-story home that comes with four bedrooms, three bathrooms, kitchen, family dining room, and a wonderful den. Perfect for families who love spending quality time together! 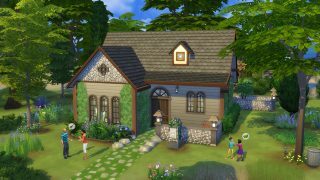 This starter home is perfect for the Sim that is looking for something with a bit more modern architecture but still retains that country feel. It even comes with a cute front porch! No park is complete without an elaborate Tudor treehouse! Children will really enjoy this little retreat as each floor contains a fun place for them to hang out with their friends and get creative. 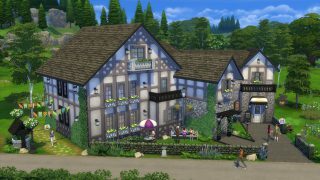 Your Sim will stand out from their neighbors with this unique roofing style and old time feel. 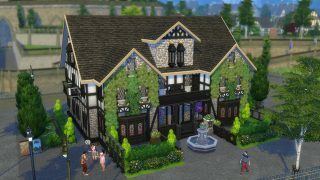 If your Sim is looking for a cute and affordable home with a Tudor-feel (one that leaves a few extra Simoleons in their account), this is the home for them! Give your legacy family a home that will be the talk of the town. 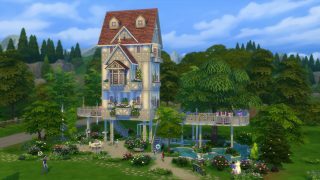 It has plenty of room for Sims with big families. After a long day at work there is nothing like going down to the pub to play some foosball or chat with the locals. 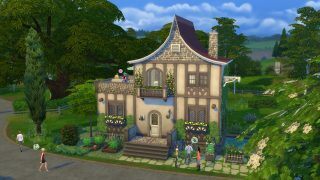 This lot looks right at home in Windenburg! 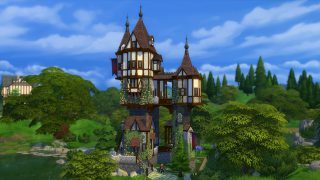 Looking for more news on The Sims 4 Get Together? Learn how you can customize Clubs, and find out how Clubs let Sims break the rules.